Land Morphology is comprised of a talented interdisciplinary team of landscape architects, designers, urban planners, and horticulturists, who create highly varied spaces that integrate exquisitely built form, sophisticated horticulture, and the fine arts. Richard Hartlage is the founding principal and CEO of Land Morphology. His award-winning, innovative designs are renowned as emotive, immersive spaces that incorporate sophisticated horticulture, artful detailing, and historical knowledge that heighten the human experience of the natural world. His passion for horticulture, cultivated over fifteen years working public gardens and estates, is applied to each design from the conceptual phase through development of maintenance protocol and beyond. Richard's diverse span of work includes the New Herb and Vegetable Garden at the Brooklyn Botanic Garden, the first new garden built in twenty years at this institution, Chihuly Gardens and Glass, the Leach Botanical Garden, InSitu, Mountsier Estate, the Vegetation Management Plan for the Seattle Center, and the Elisabeth C. Miller Botanical Garden. His designs have been featured in The New York Times, Architectural Digest, Metropolitcan Home, At Home, Fine Gardening, Horticulture, Traditional Home, Pacific Horticulture, Garden Design, and The Seattle Times, in addition to other publications in the United States, Japan, and Europe. Richard has given over 350 lectures worldwide and has written over sixty articles on gardening and landscape design for national and international publications. He has served on advisory committees and design juries for non-profits. Richard has contributed to six books on horticulture and design, including Bold Visions for the Garden, a collection of his essays and photography, and recently co-write a comprehensive book on American garden design, The Authentic Garden. In 2002, the sweet shrub, Calycanthus x raulstonii "Hartlage Wine" was named by the J.C. Raulston Arboretum in honor of his hybridization efforts with this genus. Sandy has a career that spans over thirty-five years. As a landscape architect and community designer, she has focused on leading teams, advocating for livable communities, designing attractive places and shaping enduring landscapes. She has held senior director positions in local government, international and local consulting firms, and managed her own firm for twenty years. Sandy enjoys collaborating with interdisciplinary teams on challenging projects and idea-driven solutions. Clients appreciate her ability to balance vision and pragmatism to produce plans and designs that are actionable and catalytic. Her community plans have effectively guided change in new and existing; rural and urban; local and international communities. She has worked with diverse clients on visioning, spatial plans, and policy frameworks. Sandy has a diverse and award-winning design portfolio of built projects in the Northern Rockies and Pacific Northwest regions. She seeks to understand each site within a larger context of ecology, time, culture, and community values. Sandy often works with scientists, engineers, designers and artists to gain an understanding of and creatively express the unique character and values of the places she is entrusted to work. Lindsey collaborates closely with clients, contractors, cost estimators, and the design team to ensure a comprehensive approach that meets client’s goals. She is driven to provide creative, high quality landscape architectural design and exceptional client service through all phases of a project. As principal at Land Morphology, Lindsey oversees daily studio operations and is involved in the planning, permitting, design, and construction of complex projects across a range of scales. Lindsey’s strategic planning expertise successfully guides projects through the permitting process, resulting in permitted projects in a time of increasing regulation. She has experience with many municipalities in the greater Puget Sound area. Key projects include Waterfront Seattle, the Leach Botanical Garden, and large private residential estates. Lindsey’s work has been nationally recognized and published. She has been a speaker at the University of Washington and other design community groups. Lindsey dedicates volunteer time annually working with students and members of the community. Renee’s 20 plus years of experience includes landscape design and master planning in both the public and private sectors. As a registered landscape architect and project manager, she has designed landscapes for a breadth of projects ranging from parks, botanic gardens, and natural areas to streetscapes and urban plazas; schools and play areas; and single family residential gardens. Renee is a LEED Accredited Professional with a background in natural resources. She designs to achieve aesthetic, ecological, and sustainable goals. Renee enjoys working in an interdisciplinary team environment where her strong technical and communication skills take a project from concept through construction in a creative and effective manner. A focus of her work is designing with plants and landforms to create living spaces that work well for people and inspire positive interaction with the natural and built environments. Ints is a landscape architect who focuses on integrated ecological design. With over twelve years of practice in Seattle—working on projects located in the continental U.S., to the U.A.E., Europe, and Southeast Alaska—he draws on a deep body of experience across a range of landscapes and cultures. His approach is to understand the key natural and cultural contexts and the scales at which they influence the project and its site. The natural threads of habitat, water, and wildlife are integral to any lasting solution and can come together to reinforce a sense of place. These natural threads, woven together within the culture of community and place create a fabric of richness expressed in forms and functions that have deeper meaning and lasting value. Garrett is a registered landscape architect with a broad range of project and technical experience, including design, master planning, construction management, 3D modeling, and GIS mapping. His approach is to use design as a pedagogy for making connections between people and the built, natural, and cultural landscape. Garrett draws upon twelve years of experience as a seasonal trail builder, historical preservation carpenter, backcountry ranger, and environmental educator. Adrian is a landscape designer whose comprehensive career has covered all aspects of landscape architecture, including design, construction, management, and maintenance. With a background in ecology and sustainable planning, Adrian's work reflects her deep love of the natural world while also paying homage to her artistic and pragmatic character. Her professional experience covers a wide variety of project types and scales, and highlights her love for technology, innovation, sustainability, and elegant simplicity. Meghan is a registered landscape architect whose broad project experience ranges from high-end residential design to public parks and ecological restoration. She is focused on sustainable design and construction as well as precise technical and graphic communication. She is experienced in all phases of the design process, from concept to permitting and construction documents to construction administration. Meghan seeks to create emotionally resonate places that respond to the users’ needs and the site’s history and context. She has a background in art, music, and philosophy and is an experienced outdoorswoman. She also leads the volunteer-run giving garden at one of the city’s largest p-patch gardens, which donates over 2,000 pounds of organic produce each year. Sue enjoys working closely with clients and team members to explore and develop design solutions that resonate with and intimately connect people to outdoor places. 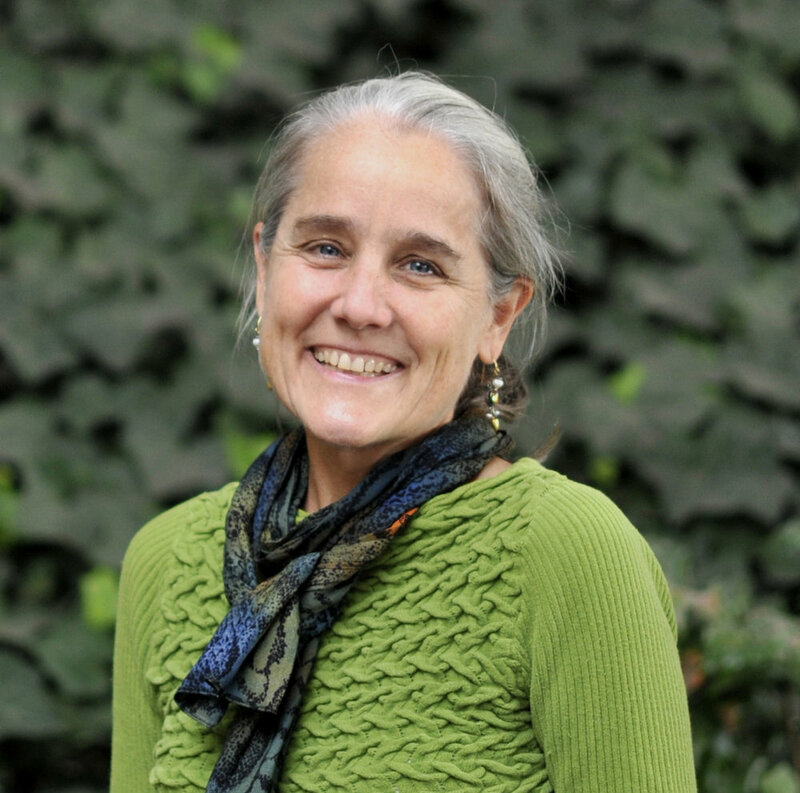 She brings a versatile background of environmental science, human health, art and design, uniting creative problem-solving skills, technical expertise, ecological stewardship, curiosity, and empathy in her approach to projects. Her experience spans public and private project types including parks, public spaces, zoos, healthcare, master planning, and residential. Brandon is a landscape designer with a background in site planning, shoreline permitting, and stormwater management. He has strong technical skills and is adept at all stages of the design process. Brandon is passionate about taking an ecological approach to creating places of authentic beauty and high functionality. Through an ongoing mix of travel, study, and work he creates places that connect people with each other and the natural world. Brandon previously worked in New York. Colleen is a landscape designer with a varied background in transportation design, restoration ecology, and horticulture. Endlessly inspired by both native plant communities as well as the urban realm, she relishes the process of planting design and seeks to create landscapes that captivate, inform and inspire. Colleen employs her strong communications and technical skills throughout all phases of a project. Christine has over fifteen years of managing marketing and business functions for landscape architectural firms. Her expertise includes developing winning proposals and helping build the framework for an organized office environment. Christine appreciates the variety of work her position offers and enjoys supporting clients from initial project set-up through project completion. She is a graduate of the University of Washington's Foster School of Business and is a certified professional services marketer. Jake - always in motion and with a perpetual smile - spreads his own form of joy at Land Morphology. Jake is well-traveled and may be some version of a Coton de Tulear. Regardless, he’s glad his parents rescued him and that he gets to spend time at the office begging for treats, enjoying Astro’s vast toy collection, and instigating cocktail hour as frequently as he can. Sadly, Astro passed away recently. Astro lives on in our memories as official "Top Dog" of the office.